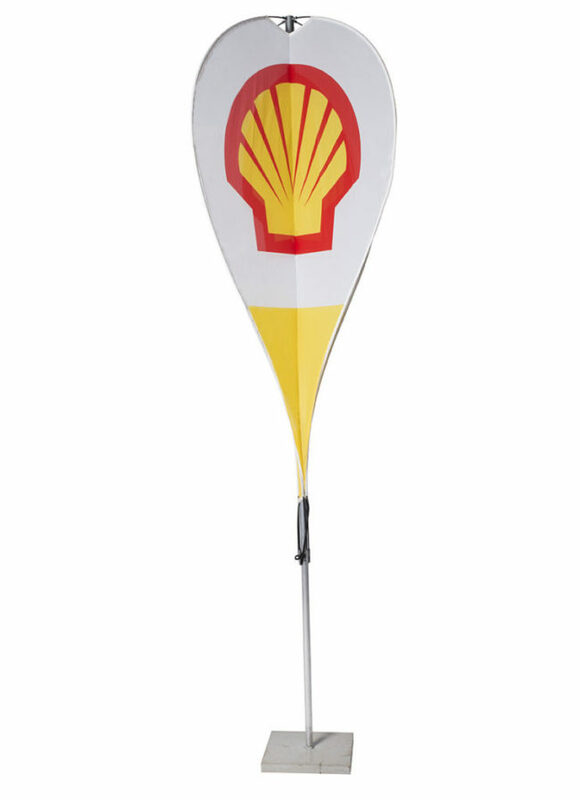 Pin drop fabric banners have a unique “teardrop” shape on an aluminium frame. The pin drop displays beautifully due to the unusual shape. Corporate’s and fast food companies often use these pin drop banners for seasonal campaigns or brand recognition in outside spaces.